A recent decision from the Georgia Supreme Court has clarified when an insurance company may be held liable for engaging in a bad faith denial of claims. The case arose from a multiple-vehicle accident that injured five people. Two of the victims, Julie An and her minor daughter Jina Hong, suffered very serious injuries and brought a claim against the man who caused the accident and his insurance company. Ms. An and her daughter attempted to settle the case for amounts within the policy limits but were unsuccessful. They proceeded to trial where they were awarded $5.3 million in compensation for their injuries. Once that judgment was entered, the original insured (who had caused the accident and had since died) sued the insurance company asserting that it had acted in bad faith for not settling the claim. We’ve written about bad faith before, but it may be helpful to revisit the topic. An insurance company acts in bad faith whenever it refuses to honor the contractual obligations of the insurance policy. Bad faith occurs whenever the insurance company unreasonably refuses to pay a legitimate claim or there are unreasonable delays in how it handles the claim. If you get injured in an accident, there are multiple issues to consider. First, you need to figure out who is at fault. Then you need to determine how much compensation you are entitled to receive. Finally, you need to navigate the process for actually getting your claim paid. In most accident cases, someone’s insurance company pays the claim – the at-fault person doesn’t often pay for your injuries out of his or her pocket. Perhaps unsurprisingly, the claims process can get pretty complicated once insurance companies get involved. Even if liability or the value of your claim is not in dispute, the insurance company may delay or even refuse to pay the claim. This can create tremendous hardship for the victim. You should be focused on putting your life back together rather than worrying about whether you can pay your bills. 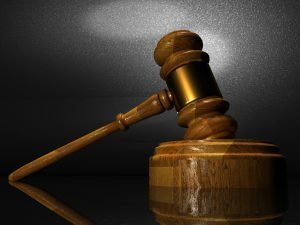 You’ve probably heard of punitive damages before, most likely through a high-profile verdict against a defendant who is seen by the public as having deep pockets. Punitive damages are controversial because the purpose of a civil action is to compensate the plaintiff, not to punish the defendant. Punishment of defendants is usually reserved for the criminal courts. However, punitive damages are intended to do just that–to punish the defendant when their behavior has been particularly vicious by awarding the plaintiff monetary awards that are greater than the amount necessary purely for compensation. To understand how punitive damages work, we’ll need to take a quick look at how damages are awarded in a civil lawsuit. Attorneys Rich Dolder and Jay Sadd literally wrote the book on insurance bad faith claims in Georgia. This post is to highlight the presentation entitled, “Anatomy of An Insurance Bad Faith Trial” that was given by Rich Dolder at the Punitive Damages iCLE Seminar held at the State Bar Of Georgia. This seminar was held earlier today, and Rich Dolder represented Slappey and Sadd, while he spoke to the audience regarding insurance bad faith. Insurance Bad Faith claims are some of the most complex cases to litigate; however, the team at Slappey & Sadd are exceptionally well versed in handling these types of cases, while also possessing the courage to face the insurance companies head on. An insurance agent’s bad faith may be imputed to the insurance company and thus become the company’s bad faith. However, under Georgia law, the potential liability of an insurance broker or agent (separate from the potential liability of the insurer itself) is limited to the terms of the insurance policy it negligently failed to procure. An agent who negligently fails to procure the requested coverage is liable for loss or damage to the limit of the agreed policy. J. Smith Lanier & Company v. Southeastern Forge, Inc.
Richards v. Hanover Ins. Co. In addition to the cause of action for bad-faith failure to pay that is grounded in statute, Georgia recognizes a cause of action for insurance bad faith that is grounded in the common law. As explained below, common-law bad faith is associated with a liability insurer’s fiduciary duty to protect its insured from the risks associated with litigation against the insured. 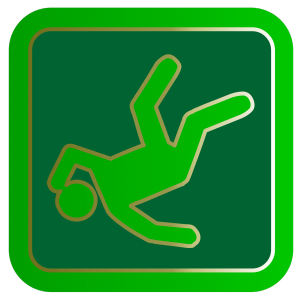 In most cases, these risks include legal liability to the insured for damages the insured has allegedly caused to a third-party claimant. Succinctly stated, “[a]n insurance company may be liable for damages to its insured for failing to settle the claim of an injured person where the insurer is guilty of negligence, fraud, or bad faith in failing to compromise the claim.” The most common example of an insurance company’s liability for bad faith arises when the insurance company fails to take advantage of a reasonable opportunity to settle claims against its insured within policy limits. Because an insurance policy is a contract, any dispute implicating an insurer’s bad faith will involve the meaning of the words in the insurance policy. This is true no matter the type of bad faith at issue. Construction and interpretation of an insurance policy come into play in statutory bad-faith cases brought under O.C.G.A. § 33-4-6 as well as in bad-faith cases under the common law. Below we will look at the types of bad faith insurance.